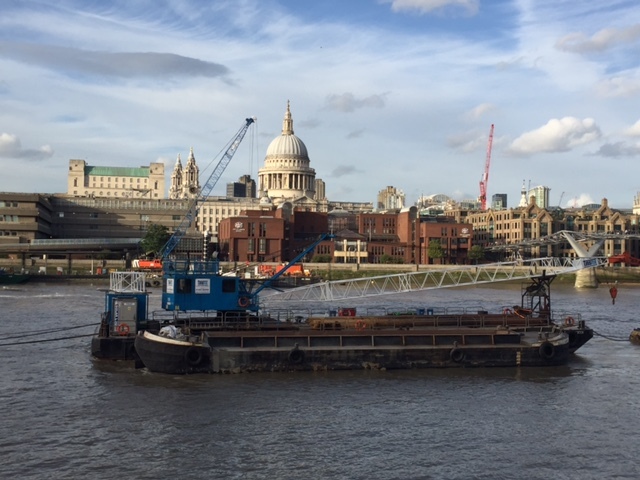 TMS Crane Barge “Maverick” was spotted on the Thames yesterday by Eleanor Hunt, daughter of TMS Estimator Paul Hunt.Whilst on a visit to the Globe Theatre, Eleanor took a great picture with St Paul’s Cathedral in background of the TMS marine plant. 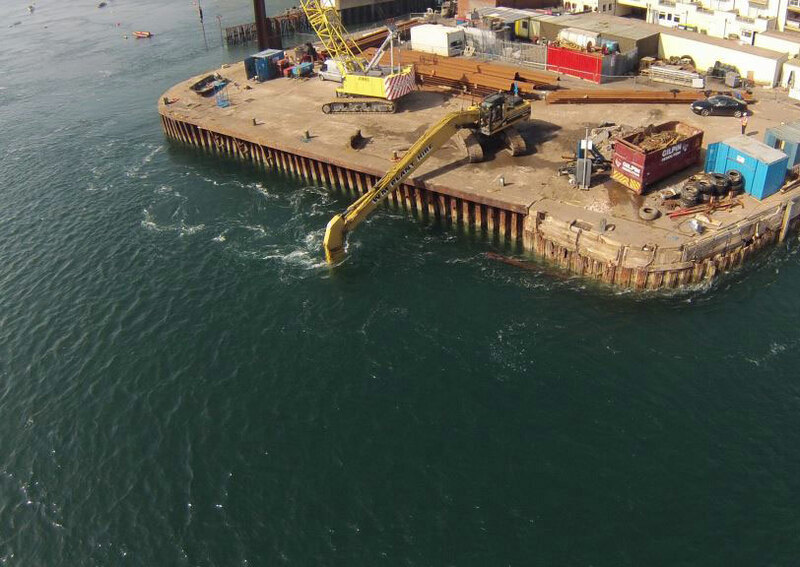 The marine plant is on hire to Volker Stevin as part of TMS’s support role for the major Thames Tideway Tunnel Project. TMS have a substantial fleet of Marine Plant for hire and can also complete packages of Marine Works for Clients and Contractors. Contact the office on 01626866066 for more information.